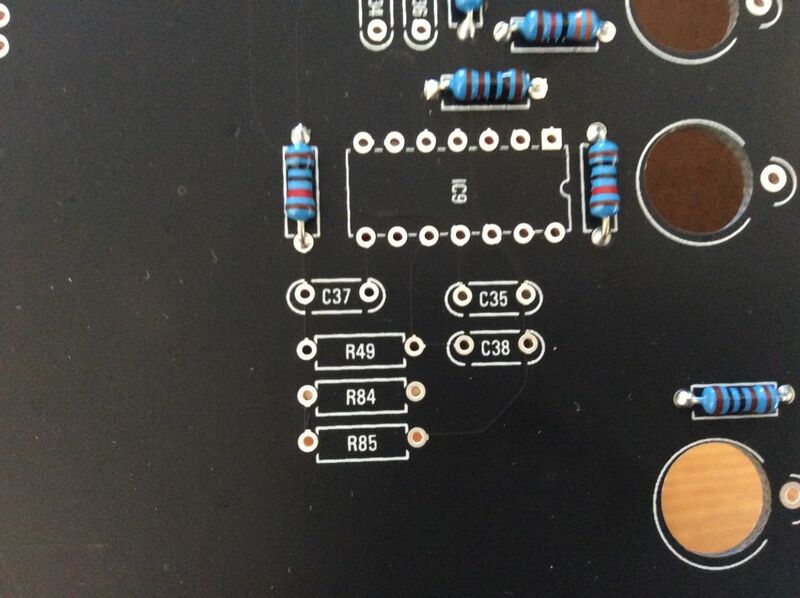 I couldn't seem to find a build thread for the 218r (this one: http://electricmusicstore.com/products/touch-activated-voltage-source- model-218-rev2) so I thought I'd start one. I'm halfway through the building the PCB, but missing some components right now. Has anyone finished this build and have some insight or tips to share? there was a thread...can't find it. I finished mine - fully working, loving it. what a fantastic piece of kit. 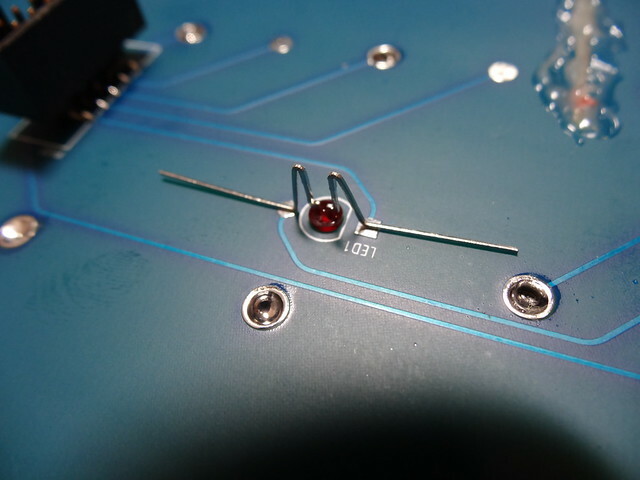 - if you are going to use a standoff, countersunk the hole before you solder the red pcb. - Don't use too much solder when soldering the red pcb. doing so can create a air bubble - and you'll lose connectivity. - The permanento pots works backward : This is normal - it is as on the original. - Make sure you clear coat the whole lot. i am happy with 2 coats. What kind of clear did you use? Perfect! I ordered my 218r kit a week ago. Look forward to building it! Does anyone have any more information on building this? I Ordered the black easel kit. Is the clear for coating the keyboard panel? i used rustoleum crystal clear ENAMEL. make sure you do the coating in a dust free area! 1 even coat, not multiples. there's a couple on the other forum. excuse my ineptitude, which forum? Where can I information on the two calibration trimmers on the 218r? Hi guys!!! I build a 218 with bom rev 2.3 but i can't find any value for r84 and r85... it seems that they were connected with ic9, any stories with the mod for proper pulse? Do you mind sharing with me? I'm in the process of ordering stuff for a set of Romans black Easel panels. I've done two+ clear coats and it causes the red paint on the "frets" to wrinkle :( Will definitely do a single coat next time. Cut the frets to 44mm and a touch over 83mm. DO NOT TOUCH or clean the silver sections of the keyboard PCBs prior to clear coating. I've kept them in the plastic wrap until the last part of the build; even tore a small hole to counter-sink the standoff hole. Soldered the red PCB to the base in two places then removed the plastic wrap, epoxied in the frets, then clear-coated, then soldered up the rest. Definitely avoid the air bubbles mentioned but also don't hold too long or it could melt the clear coat on the other side. There's also a catch; for 1.2V output you have to set the miniswitch so only 1V/Octave and First/Last are "ON". Thanks to zecken and synesthesia for this crucial tip! Short lead to the square pad. So i have this, what i think, is an grounding problem with the 218 and I cant wrap my head around it. When connected it goes really glitchy if a key is hold or pressed down hard. if I just touch it fast its fine, nothing wrong here. this problem goes away if I ground my easel on the back. I tried to ground just the power board to the case but it doesn't solve the issue. is this something you guys heard of or seen before? is your case made of a metal? Try electrically isolating the 218 from the case itself. Capacitive touch controllers are extremely finicky when it comes to power. Have you tried plugging it in a different home/studio? I think its related to my case and the power because yesterday I had my hand on my computer and my elbow touched the metal case of the easel and i wouldn't say i got an electric shock but you know i felt the electricity moving around like a small needle. I will try to use a different power adapter and 12v converter. perhaps its just so easy. If you're using a wall wart try a line lump with a good ground that you can trace. Ground the chassis. Do the upper keys sit flush on the lower keys? I saw someone talking about a countersunk screw to stabilize the setup. All very confusing. The upper keys PCB sits atop the larger blue panel. There are circular solder points on the red PCB's back which of course line up with the solder holes on the back of the blue. There is a single hole in the middle of the blue keys PCB for the 15mm standoff's screw which must be a flush, counter-sunk type or else it would cause the red keys PCB to not be able to touch the blue. The upper keys PCB sits atop the larger blue panel. There are circular solder points on the red PCB's back which of course line up with the solder holes on the back of the blue. There is a single hole in the middle of the blue keys PCB for the 15mm standoff's screw which must be a flush, counter-sunk type or else it would cause the red keys PCB to ot be able to touch the blue. Thank you. That helps a lot and makes more sense now.